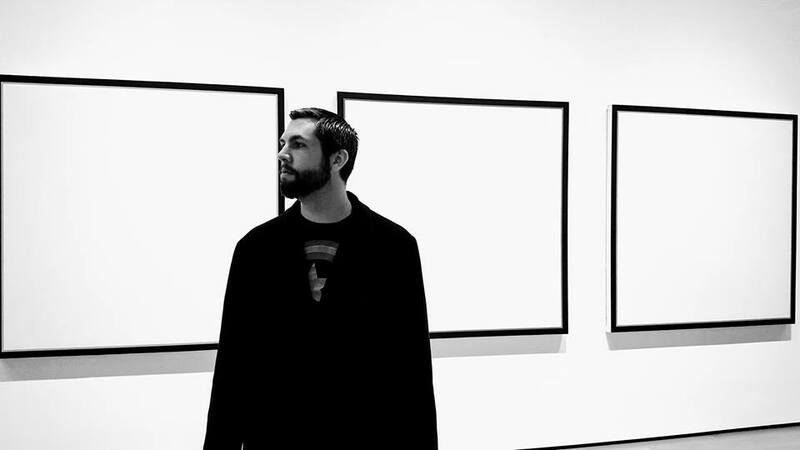 J. Brandon Lowry is a former research scientist with a PhD in Molecular Biology. In 2017, he chose to leave the life of a scientist behind and pursue his dream career, that of fiction writer. Now he travels the world with his wife, and the two of them detail their adventures at the travel blog The Places We Live. He is also a Contributing Editor for Literary Tourism over at Open: Journal of Arts & Letters. Currently available work includes the flash fiction collection Finding My Voice and the serial novel The Exanthropist Chronicles. A detective caught in the web of a seductive murderess. A young man discovering his roots through music. A world that is falling apart, literally. 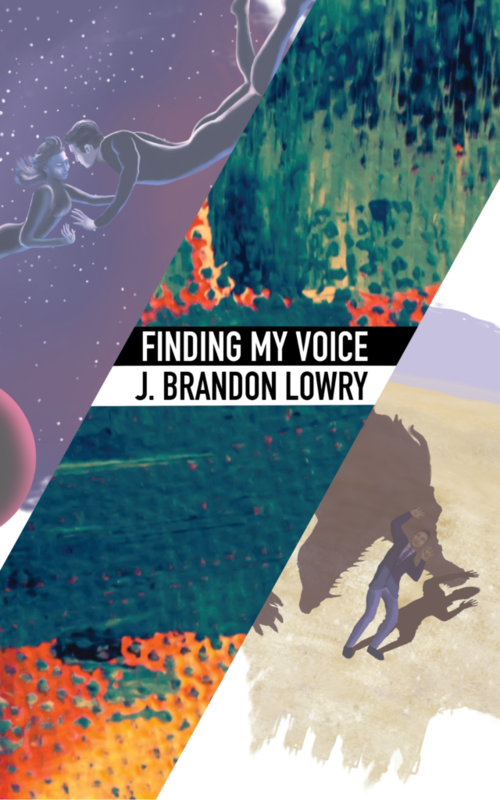 Finding My Voice, the debut flash fiction collection from J. Brandon Lowry, features 24 stories that explore life in all its complex and messy glory. An experiment in craft and style, this collection also features original artwork and personal reflections by the author. Each tale can be read in ten minutes or less, perfect for today’s fast paced world. Love, loss, joy, sorrow, the highest highs, the lowest lows, all brought vividly to life by an emerging voice in the world of short fiction. I’m a former research scientist with a PhD in Molecular Biology. In October of 2017, my wife and I quit our jobs, sold all of our possessions, and took on new careers as digital nomads. While traveling the world, I began writing and publishing flash fiction while working on my debut novel. The two of us launched a community for writers who want to strengthen their social media marketing skills, and I’m also an assistant editor over at Midnight Mosaic Fiction. You can find out more about our adventures over at our travel blog The Places We Live. JRR: What made you decide to quit your job and become a ‘digital nomad’? You have been in several countries, which has been the country that you most enjoyed? Which country was so different that you really had to adjust? What country are you most looking forward to traveling to? It was an incredibly difficult decision. I found myself on a treadmill of sorts, where each step was meant to take me somewhere, only to find that I hadn’t really progressed. Neither one of us were living our ideal lives. With no house and no kids, there was no reason not to make a change and dedicate ourselves fully to chasing our dreams. We’ve met great people everywhere we went, but I think our favorite destination was Hua Hin, Thailand. It’s a tourist city on the Thai coast, but because we house sit on our travels, we lived in a small expat community outside of the hustle and bustle of downtown. It gave us the chance to really see what life was like, both for the locals and for the expats. Strangely enough, China required the most adjustment, even though we had lived in Shenzhen for a year in 2006-2007. That’s probably because it was our first destination, though, and we were still figuring out our new lifestyle. This next year takes us to Europe, where I’m most looking forward to exploring Spain. JRR: What inspires you to write? I’d say it’s my love of stories. Books, music, movies, TV, video games, whatever the medium, if there’s a good story, I’m there. That ability to be transported to other worlds and experience other lives vicariously is absolutely entrancing, and the opportunity to provide that experience to others is just too good to pass up. My favorite is and always has been Stephen King. At the age of thirteen, I found a first edition of Christine at a garage sale and bought it for a buck. That story of teenage life and having a love interest disrupt a friendship really connected with me and began my quest to read all of his works. While I fell in love with Stephen King’s fiction, it was his nonfiction books Danse Macabre and On Writing that made me want to do it myself. That peek behind the curtain made me realize that he was just a person instead of this mythical, monolithic figure. It showed me that talent isn’t the sole ingredient to success, that it takes passion and diligence to work at the craft, a dedicated effort to improve and understand what you’re doing with your words. JRR: What made you choose short stories for your first book? Well, my wife actually gets credit for the idea. These stories have all been previously published, but taken together they represent my growth as a writer (hence the title). I attempted a bit of everything in an attempt to figure out which genres I’m best suited to, whether I fit more in the literary or speculative fiction world, and in just understanding the basics of storytelling. From there I organized them into three parts based on tone and theme, and enlisted the help of some artist friends to do the cover and section illustrations, and Finding My Voice was born. JRR: What can you tell us about The Exanthropist Chronicles: Nightstalkers? Nightstalkers is the first entry in a planned series of serial novels starring Vlad, the world’s only true vampire. The anhedonia of immortality has begun to set in, leaving him in pursuit of the last thrill left to him: murder. An assassin for hire, Vlad gets more than he bargained for when his last contract sets in motion a chain of events that threaten to end his existence once and for all. The concept for the serial is to release a new chapter every two weeks. The story has not been written in advance, so I’m more or less publishing the first draft in as close to real time as possible. Nightstalkers can be found on Medium at this link. Hmmm, this is a tough one. As a fan of Roman history, I think I’d have to invite Julius Caesar, if for no other reason than to get his take on modernity and how the world has changed. I’d also invite Sam Harris, as I’m a big fan of his work on free will and the nature of consciousness. And just to throw a curveball, I’ll represent the literary world with Chuck Palahniuk. There are actually quite a few classics that make this list. Catch-22, Catcher in the Rye, To Kill A Mockingbird... pretty much all the books that are supposed to be required reading in high school that I ignored. I mean, there’s gotta be a reason they get assigned, right? Finding My Voice is available from Amazon in both Kindle and Paperback formats. Interested readers can find more of my work over on Medium. And don’t forget to follow me on Twitter!